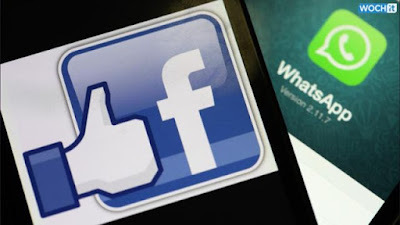 Why Would Facebook Move WhatsApp Away From IBM? While the real reason for moving WhatsApp off of IBM’s cloud and onto its own servers has not been disclosed — actually, the legitimacy of this entire plan has yet to be confirmed by either company — there are myriad possibilities. I can think of two simple reasons that would justify FB management’s decision to pull WhatsApp from IBM: cost and control. Even though Facebook is the world’s largest, most popular social media titan with a market cap of $440 billion, keeping expenses in check is still a top priority. If the use of the IBM cloud has been costing FB tens of millions of dollars per year, and if the ability exists to shift WhatsApp to in-house servers, then the decision is a no-brainer. No corporation, even gigantic ones like Facebook, will continue to spend that much money when they can just as easily do the job in-house. Additionally, with WhatsApp being maintained on third-party cloud servers, there is an undeniable portion of control that has been sacrificed. That’s not to suggest IBM has acted inappropriately in any way, but the mere fact that one of Facebook’s most popular properties — WhatsApp has more than 1.2 billion monthly active users — is in the possession of another company is a major deal, especially if you’re a control freak and the CEO of a multi-billion-dollar international corporation. Investors in both FB stock and IBM stock won’t see any immediate spikes or slumps, especially considering that a transfer of this magnitude — “WhatsApp runs atop more than 700 high-end servers split between data centers in San Jose, California, and Washington, D.C.” — isn’t something that can be completed overnight. Further, it’s unlikely that WhatsApp users will experience any significant effects, either. The financial effects of the move will, however, likely be visible on both companies’ quarterly earnings reports in the quarter following the data transfer, as that will be when the cost-savings to FB and revenue loss to IBM would first become apparent. Still, if the cost of using the IBM cloud for WhatsApp is only costing Facebook $24 million per year, those effects will be minimal when presented alongside every other line item on a quarterly report. Simply put, the move shouldn’t have any impact, positive or negative, on either FB stock or IBM stock. EDITOR’S NOTE: This story has been updated to correct an initial misstatement that WhatsApp is one of IBM’s top five cloud clients.